I hereby certify, under penalty of perjury, that I am authorized to act on behalf of FUNimation Entertainment for purposes of intellectual property rights enforcement. The information in this notice is accurate. Our aforementioned clients own or control various exclusive copyrights related to the copyrighted works known as: Konbini Kareshi, Love Live Sunshine, Full Metal Panic (the "Properties"). We request that you expeditiously cause all such infringing materials to be removed or blocked or freeze the account of the party in control of the relevant domains until said party removes all infringing materials or disables access thereto. If you should require any further information please do not hesitate to contact me by email at FUNimation Legal <legal2@funimation.com>. Our mailing address is FUNimation Entertainment 1200 Lakeside Parkway, Bldg 1, Flower Mound, TX, 75028. Please contact us immediately if this notification is not in substantial compliance with the requirements of the DMCA, or if some other problem arises with respect to our request. KAORI Nusantara telah mengirimkan laporan bantahan atas permintaan DMCA tersebut. Kami berkomitmen melayani pengguna kami semaksimal mungkin dan mengupayakan kembalinya akses terhadap tautan-tautan tersebut. KAORI Nusantara adalah situs pertama di Indonesia dengan konsep komunitas dan media tentang industri kreatif yang terintegrasi. 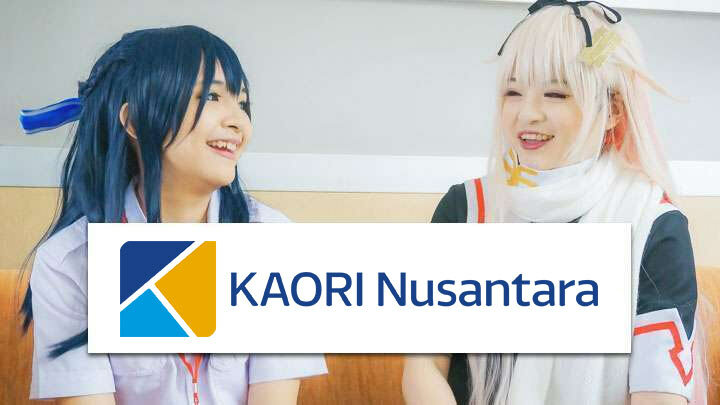 Berlokasi di www.kaorinusantara.or.id, KAORI berpengalaman selama 9 tahun dalam memanajemen salah satu situs berita anime dan industri kreatif terbesar di Indonesia. KAORI bertekad untuk menjadi penyedia informasi terbaik yang berkualitas dan terpercaya dalam bidang anime dan industri kreatif Indonesia.